I like him. 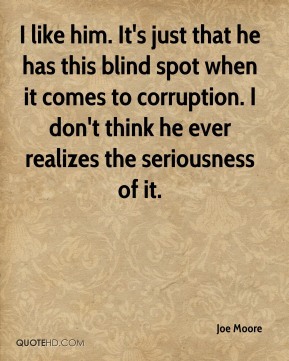 It's just that he has this blind spot when it comes to corruption. I don't think he ever realizes the seriousness of it. 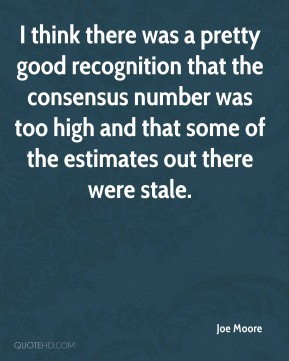 I think there was a pretty good recognition that the consensus number was too high and that some of the estimates out there were stale. 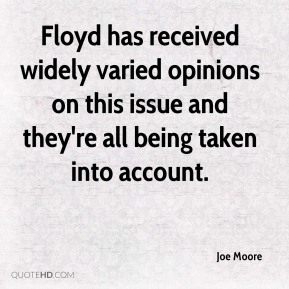 Floyd has received widely varied opinions on this issue and they're all being taken into account. 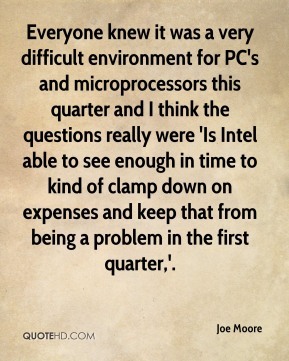 Everyone knew it was a very difficult environment for PC's and microprocessors this quarter and I think the questions really were 'Is Intel able to see enough in time to kind of clamp down on expenses and keep that from being a problem in the first quarter,'. 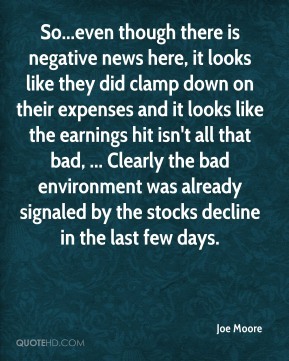 So...even though there is negative news here, it looks like they did clamp down on their expenses and it looks like the earnings hit isn't all that bad, ... Clearly the bad environment was already signaled by the stocks decline in the last few days. I have decided not to let our owners drive me out of KHON-2. 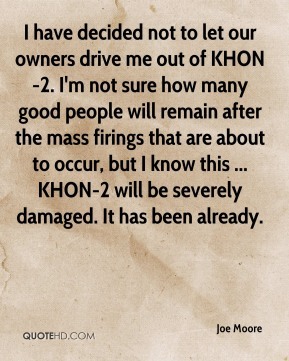 I'm not sure how many good people will remain after the mass firings that are about to occur, but I know this ... KHON-2 will be severely damaged. 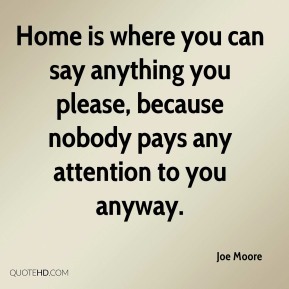 It has been already. 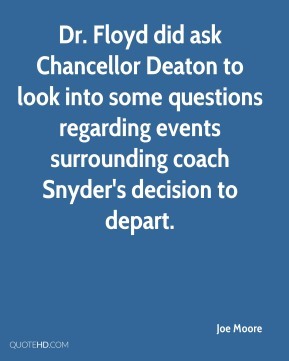 Dr. Floyd did ask Chancellor Deaton to look into some questions regarding events surrounding coach Snyder's decision to depart. 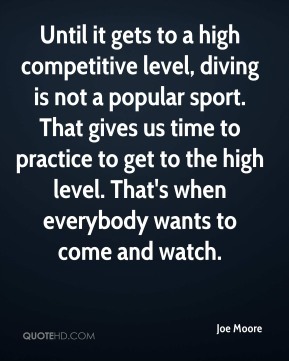 Until it gets to a high competitive level, diving is not a popular sport. That gives us time to practice to get to the high level. That's when everybody wants to come and watch.